Singing "Back to life. Back to reality. Back to the hear and now, yeah." Those lyrics by Soul II Soul come to mind when I think of Back to School. Summer is over, Autumn is approaching and school is back in session. 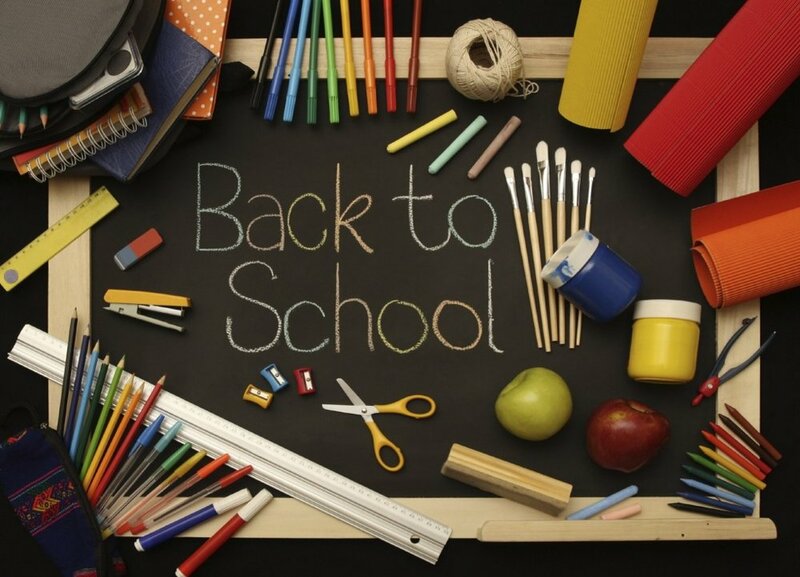 Back to school can be a stressful time for all of us, whether you're getting back to school yourself, you are a parent getting the kids back to school, sending kids off to college, and/or maybe you are going to school and have children that are going to school as well; either way it can be a stressful time of year. Getting back to school can bring up many emotions. Feelings of excitement, anxiety, and even frustration. Back to school can mean reconnecting with old friends, making new friends, new challenges, and just life changes all together. This time of year introduces new chapters and new experiences. This time of year can also be hectic; more traffic on the freeways, rushing to get out of the house in the mornings, shifts in family roles and dynamics, and schedule adjustments. Back to school season is great. Back to school season is challenging. Back to school season is change! Change in our home, in our families, in our friends, and in ourselves. Change for some can be a brand new start to do some things differently and it can also be anxiety provoking to those that do not want change. Change can bring about a host of thoughts and feelings. Which is not a bad thing! However, how do know when your distress requires professional help? Distress is an ordinary reaction to a stressful event. On the other hand, when distress begins to interfere with our daily functioning it may be time to ask for help! Some areas of daily functioning to monitor are: (this is not an exhaustive list) • Hygiene • Interactions with friends • Drinking and/or drug use • Ability to carry out daily tasks including school, work, etc. Sometimes we get so overwhelmed in what we are dealing with that it is challenging to see when we are having a difficult time. This is an important time to listen to loved ones. If a loved one has expressed concern about your well-being please take heed and seek help. If you are having thoughts and/or feelings of suicide please call 1-800-273-8255 . If you have an emergency medical need please call 911. It's Back to School season. You are not alone. We are all affected during this time of year. Please seek help as needed! *This post is not intended to replace a professional medical and/or mental evaluation.